Bestselling author Davina McCall is inspiring millions to live a healthier lifestyle and has sold over half a million sugar-free books to date! 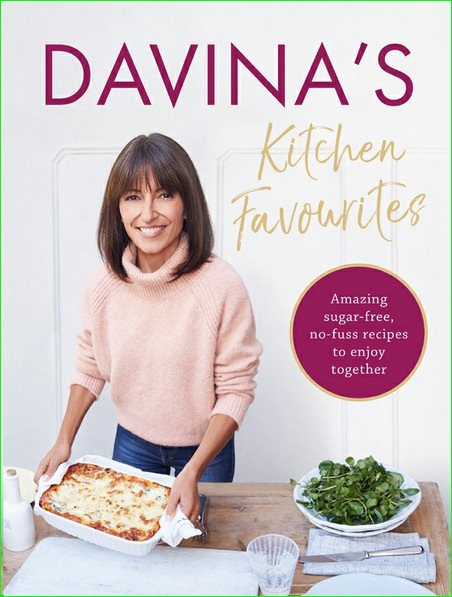 Davina’s Kitchen Favourites is her latest cookbook, full of food she loves to cook for family and friends, and lots of easy recipes that keep the show on the road when life gets crazy! "When I’m working, training or running a busy home, I like to stay healthy and to know I’m feeding myself and everyone else just the right amount of what we all need. These recipes are refined sugar free, full of nutritious goodness and don’t need tonnes of ingredients to taste amaaazing!" Join Davina’s huge online community of over 3.5 million dedicated followers by sharing your creations from the book on social media, using #sharethelove.